Click on Communion News and Updates for the latest info ! This is the second year of a two-year preparation program that gets children ready to received communion every week after their first communion. Our goal isn't "receiving first communion" but to have children and their families have the joy and security of receiving Jesus every Sunday throughout their lives. First communion is only s beginning. During this year, we also prepare children for their first Penance (the Sacrament of Reconciliation). We introduce the concept of how God's mercy forgives our sins through this Sacrament -- something that our children can rely on their whole lives long. This is a great opportunity for parents to re-discover the joy and peace of this sacrament for themselves too. During the Level II year we also prepare the children to celebrate Penance (The Sacrament of Reconciliation) for the first time. Parents help by working with their children to know that when they make unloving choices (that's sin) they are forgiven by God in this sacrament. Parents show their own willingness to forgive in the family and also model kind and forgiving talk about people outside of the family -- including in-laws, neighbors, politicians, sports figures, teachers, church members, etc. Children do copy their parents. In the fall of each year, the children and parents participate in a Reconciliation Retreat morning. They celebrate the Sacrament in December (assigned by class). It's important that parents continue to pray an act of contrition with their children so they are familiar with this prayer by the time they celebrate the Sacrament. 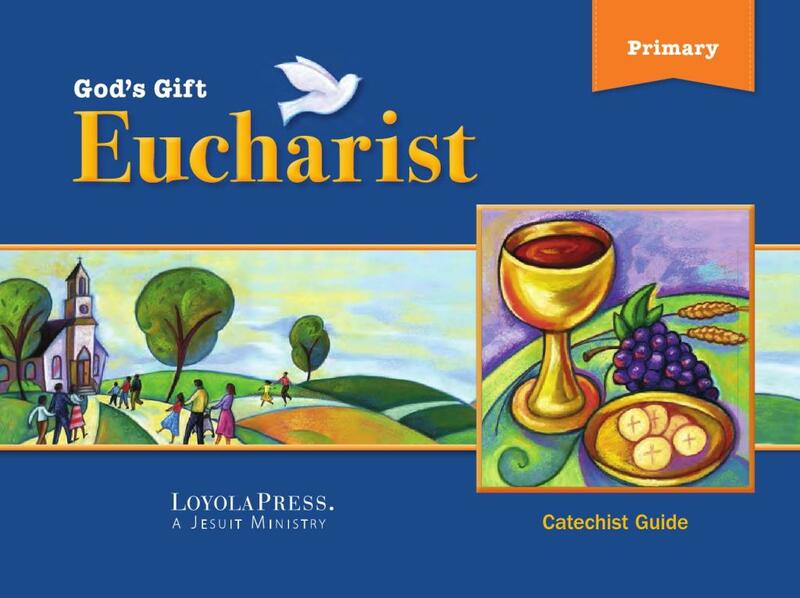 The texts we use this year is the "God's Gift" series from Loyola Press Publishing Company. 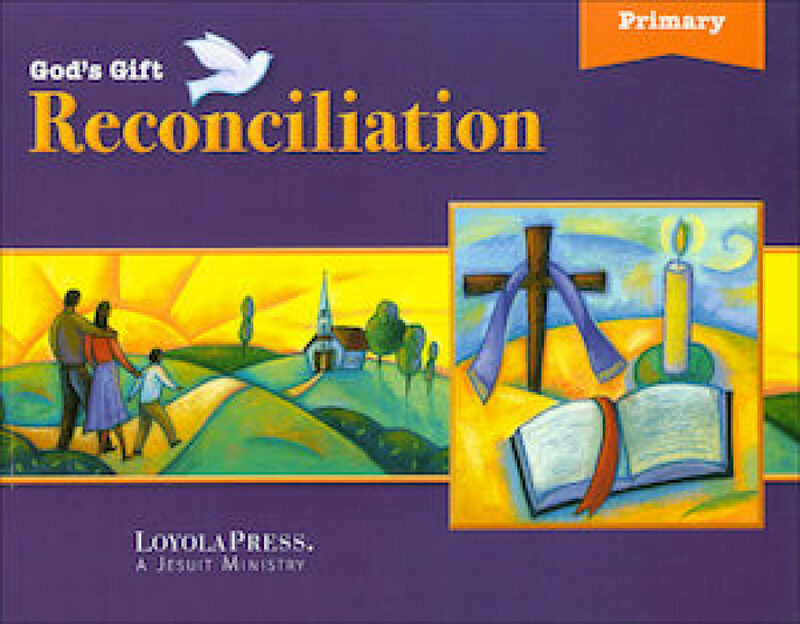 The curriculum reinforces what was introduced in the first level and helps to prepare children and their families for Reconciliation an Communion. Each week children bring their "good deeds" envelope to put in the collection basket. These include things like "I helped someone" or "I talked with my parents about my religion lesson" or "I said my prayers." Another way to be involved at church is at the 9am Family Mass (although families are welcomed at EVERY Mass). At the 9am Mass we bring up our "blue wagon" for children to put non-perishable food items for those in need. The food is distributed through St. Bernard's Food Pantry. Children in some of the classes in Level Two are invited to participate in the Christmas Pageant. A joyful re-telling of the Christmas Story. Children in Level Two are treated to a tour of the church. • Parent meeting: In the Winter…for the parents, not the children. • Child/parent retreat day -- families celebrate the "Lord's Supper" as the children dress in simple costumes as "disciples of Jesus"
• First communions take place during the Easter Season each year. Families have a choice of a Sunday celebration at a regular Mass time with the rest of the Sunday community or a Saturday morning or afternoon. Second communion takes place either the next day or the next week. Third communion is a week after that….and so on. • Rehearsals are held on the Wednesday before the scheduled first communion.